California bill, "alien," immigrants: Hiring disadvantage, term eliminated. 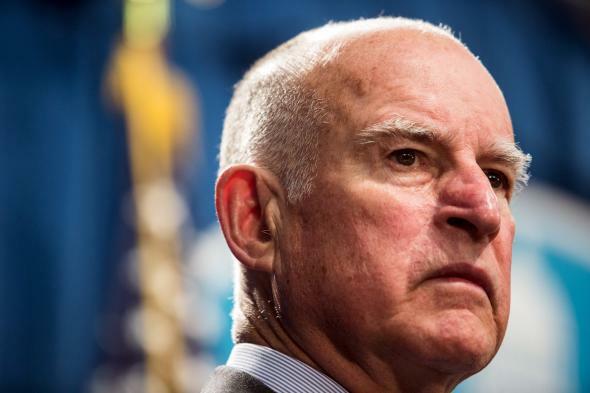 California governor Jerry Brown signed a bill Monday that eliminates the official use of the word alien to refer to immigrants in a state labor law. The move was proposed by state Sen. Tony Mendoza, who wrote in a statement that the word is “commonly considered a derogatory term for a foreign-born person and has very negative connotations.” While Supreme Court justice Sonia Sotomayor and the New York Times are among those who’ve criticized the phrase illegal alien—the Times’ style guide says the construction is “sinister-sounding”—California’s pre-existing law used only the standalone term alien to refer to noncitizens. (The section of the law which was addressed by Mendoza’s bill gave citizens preference over “aliens” in hiring for public-works jobs; that preference itself has also been removed.) Similar usages of alien as a technical term are still on the books throughout federal law, the Los Angeles Times notes.